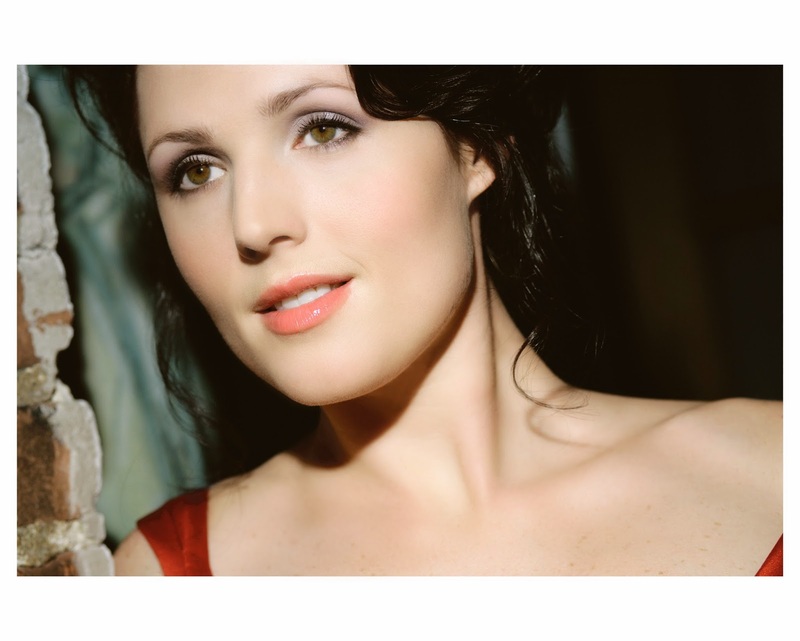 Making her Seattle Opera debut in The Tales of Hoffmann is the lovely American soprano Leah Partridge. 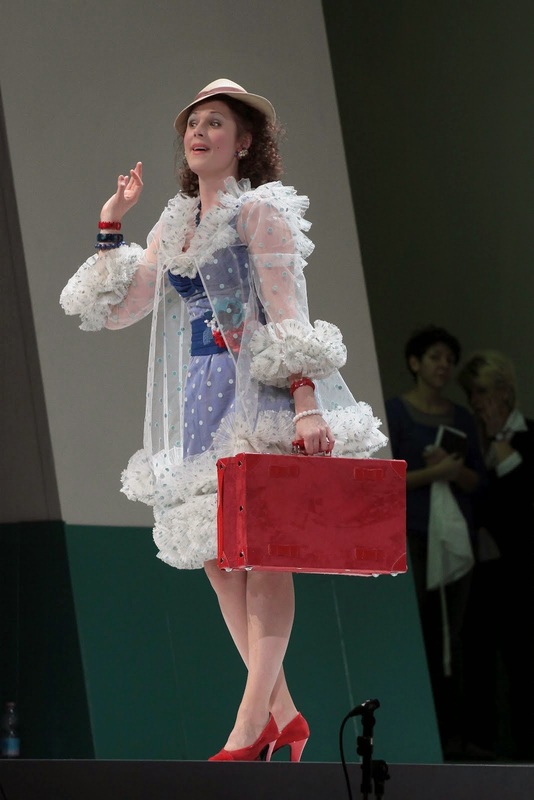 She’s also making her role debut in this opera—a major undertaking, considering that she plays all four of Hoffmann’s Beloveds: Olympia, Antonia, Giulietta, and Stella. 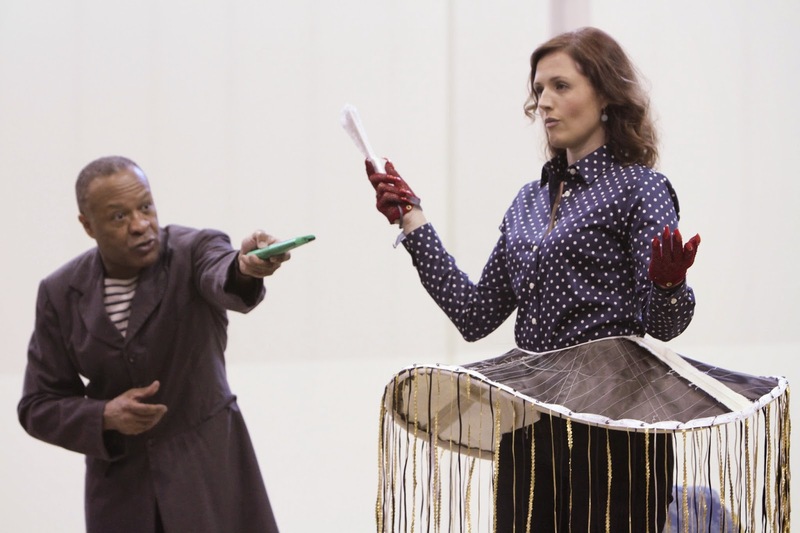 Ms. Partridge told us a little about herself, about the challenge of this opera, and about her work in schools. You’re new here; welcome! Please tell us a little about your background, where you grew up and how you became a singer. I live in Woodstock, Georgia, a northern suburb of Atlanta. I did not grow up with opera or classical music. A woman in my small town, Miss Betty Campbell, taught piano and voice and noticed that I could sing high notes. I sang a few Schubert songs in high school, just enough to get into college, and while I was in college I saw my first opera. Growing up, I had no idea that you could make a living and a career singing opera. When I was in graduate school I became hooked. I loved the stories, the history of the art form, and the never-ending challenge of singing opera. Do you have any typical pre-performance rituals? I sleep until my body wakes up—no alarms. Then I practice yoga, not intensely, but I get my body limber and open and ready to sing! Where is your favorite place in the world to sing? There is no way I could choose from all the wonderful places I have sung. However, singing in the Teatro Colon in Argentina was spectacular because there had been no renovations on that famous theater when I sang there. It was incredible to think of all the voices who had sung there, and whose feet had stood directly where I was standing! This is your very first Tales of Hoffmann. How is it going? This opera is likely going to be the most difficult thing I sing in my repertoire for length and stamina. It feels much like Violetta, in La traviata. What is The Tales of Hoffmann all about? I am finding all sorts of new ideas everyday. One thing that immediately pops into my mind is how superficial Hoffmann is. He loves these women for beauty and beauty alone. Olympia is a cold dead doll, but he doesn't even notice because she is beautiful. Antonia is a self-absorbed singer, but beautiful and he falls madly for her. Giuletta is a manipulative courtesan and he falls for her as well because of her beauty. Stella, the same. I know men like this, who are caught up in the surface level beauty of a person; they suffer constantly because they never go beyond to discover the deeper layers. Do you have a favorite among the four women you portray? Giulietta is the hardest for me to relate to, because she is so willing to destroy Hoffmann for her personal gain. But I think she’ll be fun to play. I can't wait to play Olympia; I love the concept of Hoffman falling madly in love with a beautiful wind-up doll. I think it happens first in the opera because this love affair is the most shallow and naive, like most first love/infatuations. Antonia interests me because, as a singer, I've wondered if certain people would love me if I couldn't sing—or even how I’d feel about myself! Singing becomes such a part of who you are. The trio in the Antonia scene is difficult but exhilarating. I think she will mostly likely be my favorite. Often three different voices take on these roles. What are the advantages and disadvantages of one singer doing all three? I think it's great to have one voice do all the parts. It shows how Hoffmann doesn't change. He keeps falling in love with the same type of person, which is what we do in life when we aren't paying attention or aren't growing, emotionally. Do we see these women for themselves, or only through the eyes of a very strange man? The audience sees them through Hoffmann’s eyes. We never learn anything very deep about these women. Offenbach is telling Hoffmann's story, not that of the women. But I certainly don't think that makes these characters unlikable. 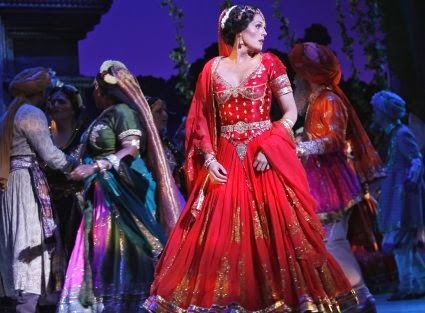 Do you have a favorite moment in this opera? I always get chills when I hear Dr. Miracle sing, "Il n'aime en toi que ta beauté," "The only thing he loves about you is your beauty." Have you been to Seattle before? No, this is my first time. I've heard great things about the city from friends and colleagues who have sung here. I remember hearing about Seattle Opera on the hit TV show, Frasier! It’s an honor to sing at this house. How many different cities will you perform in during 2014? How do you juggle the demands of your career with family/relationships? I schedule time to be home with my family as much as possible in between opera performances. Even a quick weekend trip helps; it isn't easy being away all the time. I miss a lot of celebrations, but they always make it so special for me when I return. What are your interests outside of opera and how do you find time to take part in them? I love to be outdoors: hiking, going to the lake. I love gardening, but gardens need tending. Also, I've recently started studying banjo. I grew up with Bluegrass music, and it gives my mind a break; it’s music, but very different from opera. You like to visit classrooms to talk about opera and the arts. Why? I've been singing professionally for 11 years, and a few years ago I began to wonder if I was making any difference in the world or not. Being a singer requires so much attention to oneself. You must eat well, exercise, practice, study, and most often these things are done alone. I got tired of thinking only of myself! So I started mentoring young people, through Kennesaw State University in Atlanta. I'm invested in helping young people figure out what to do with their lives. A life in the arts is not easy, but I like to offer an alternative point of view to all the negative things they usually hear—like, “You'll never have steady pay,” or “It’s very competitive.” There are many ways to have a career in the arts. Leaving high school and entering college is daunting, and I like to go into schools and meet young people going through this transition. I sing for them, usually a little opera and country, just to break the ice, and then I give them a chance to ask questions about anything that is on their minds. My goal is to leave them feeling supported, and to encourage those with strong desires to go into the arts because I feel they get a lot of discouragement. I hope to send a positive message that the arts are important, and that opera involves way more than just standing on stage singing. 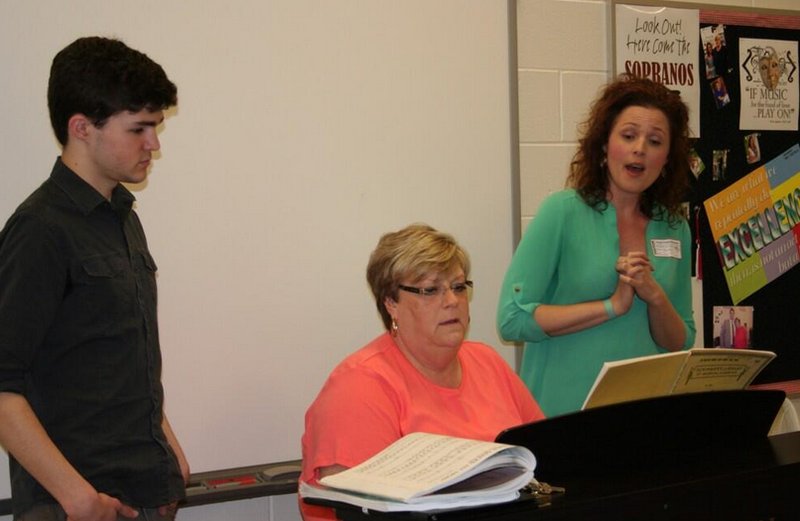 Leah Patridge visits a musical theater class at Lincoln County High School (her alma mater) in Lincolnton, Georgia.